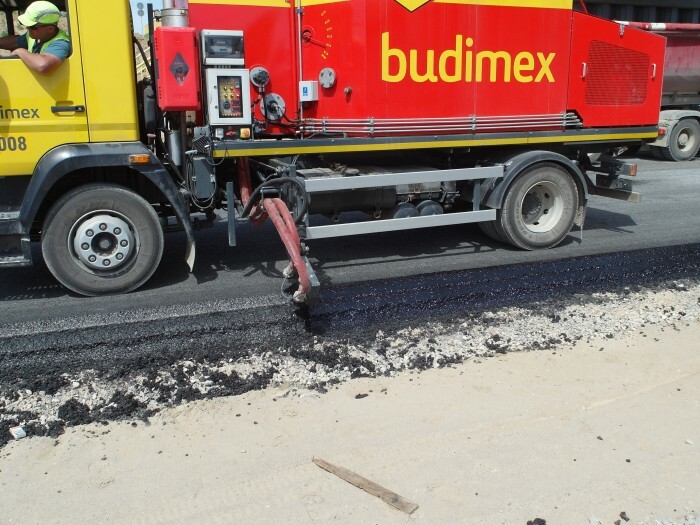 The machine performs spraying with hot bitumen or other asphaltic mass in order to close the structure of asphalt surface on the edge of the road. 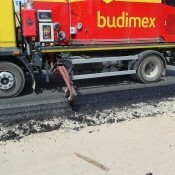 Other usage: spraying and sealing of dilatation joints, road cracks repairs. Spray bar equipped with 3 nozzles, regulated hydraulically in 3 plains. 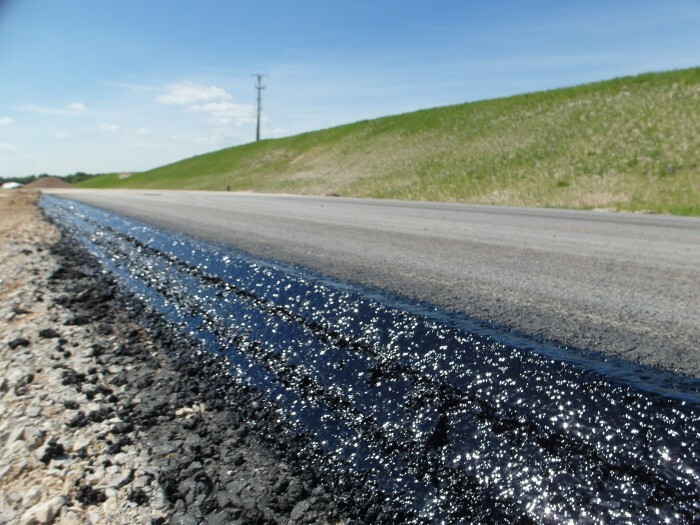 Indirect asphalt heating with oil burner through thermal oil coat – precise asphalt temperature control and overheating protection. 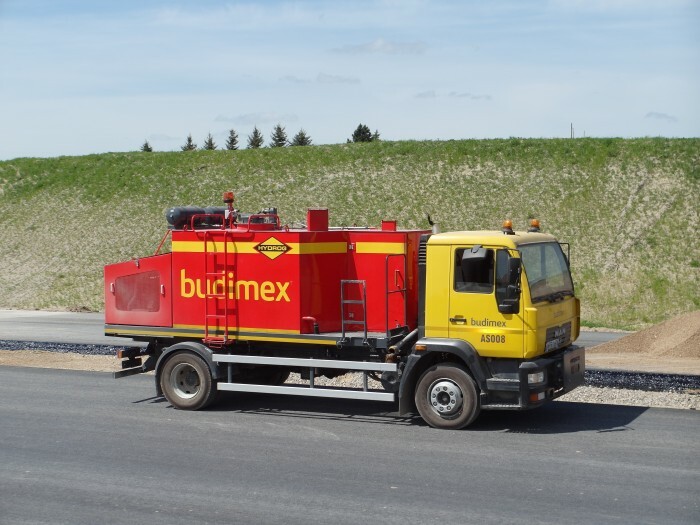 Equipped with mixer which support heating up and melting of the asphalt (with speed regulation, driven hydraulically). 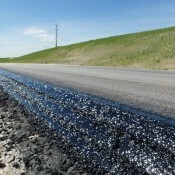 Asphalt hoses heated up electrically – always effective start-up. 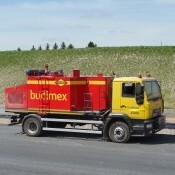 Machine to be mounted on a truck’s chassis. 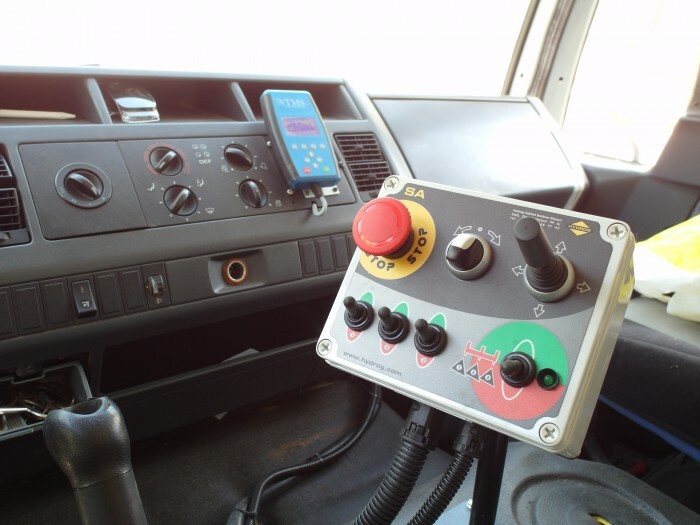 Spraying regulation from control panel inside the truck’s cabin. 3 nozzles with possibility to work together or independently. 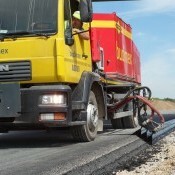 Edge spraying is supported by TV monitoring system, providing the operator with full visibility on the sprayed edge. 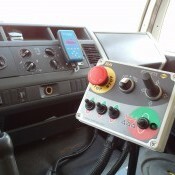 The other control elements are located on the side of the machine. 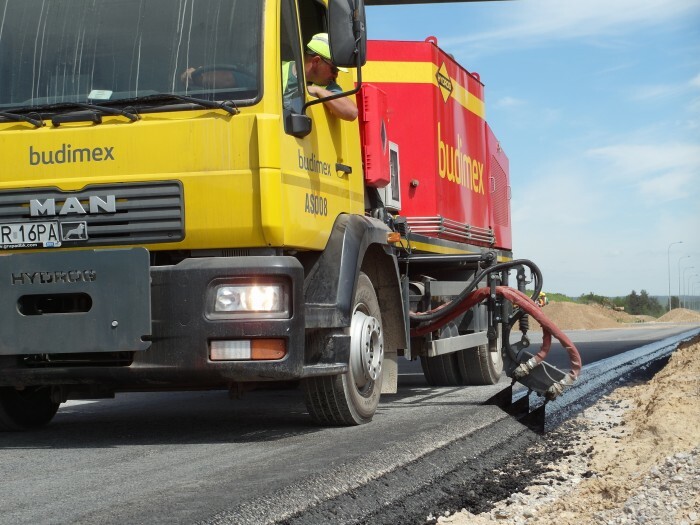 The asphalt level indicator is located on the tank casing. 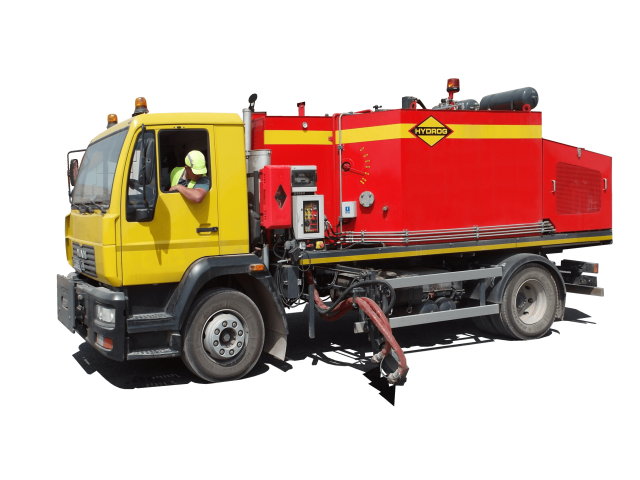 The machine can be equipped with an optional compressor with compressed air tanks.